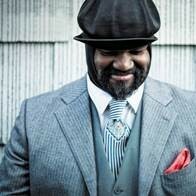 Grammy Award-winning jazz/soul singer Gregory Porter recently announced a 16 date tour around the UK. The tour opens on 4 April 2016 at the Royal Albert Hall, London and concludes on 24 April at the Birmingham Symphony Hall. Gregory continues to perform to sell out audiences across the world and has achieved international recognition and acclaim with his Grammy winning selling album ‘Liquid Spirit’. In the UK alone, the album is certified gold and has had staying power in the Official Album Charts for 80 weeks since release. On the back of a set at Glastonbury and other recent shows - critics apparently comment on Porter as a new ’king of jazz’ and a ‘leader of the pack’ – a performer of extraordinary presence who has compared with the greatest of the greats, such as Joe Williams, Nat Cole, Donny Hathway and Marvin Gaye.